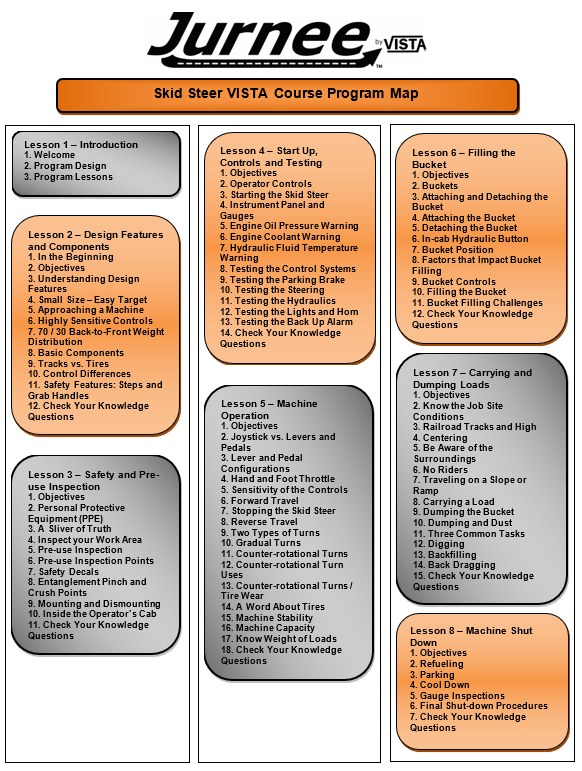 A complete skid steer loader training instructor "tool kit" for teaching skid steer (a.k.a. Bobcat) operation or for refresher training of experienced operators. 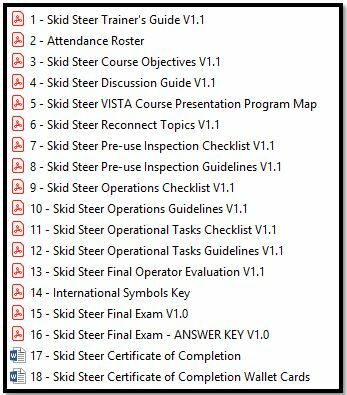 Provides instructors who don’t have time to develop their own equipment operation and safety training programs, a comprehensive training presentation and a complete set of learner materials. This instructor kit applies to municipalities, mines and quarries and general construction - basically, any entity that owns this equipment. It covers a wide variety of machine brands and working conditions. Q: Is training available in Spanish and English? 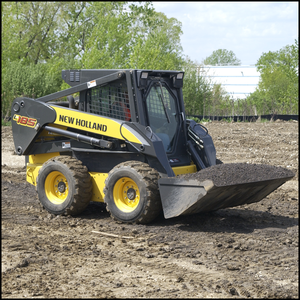 At this time no the Jurnee skid steer kit is not available in Spanish.